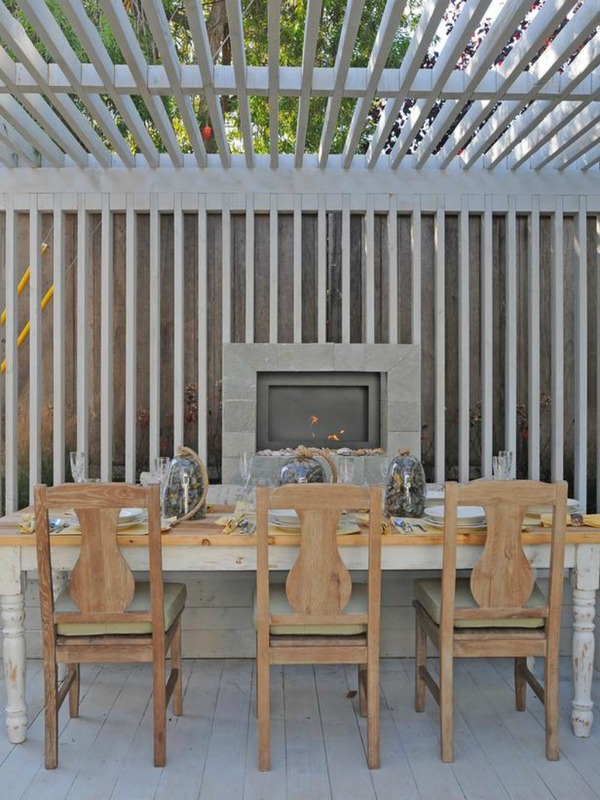 A beautiful wood slatted wall frames this Coastal outdoor dining room with weathered wood chairs. Coastal outdoor dining spaces that will inspire you. 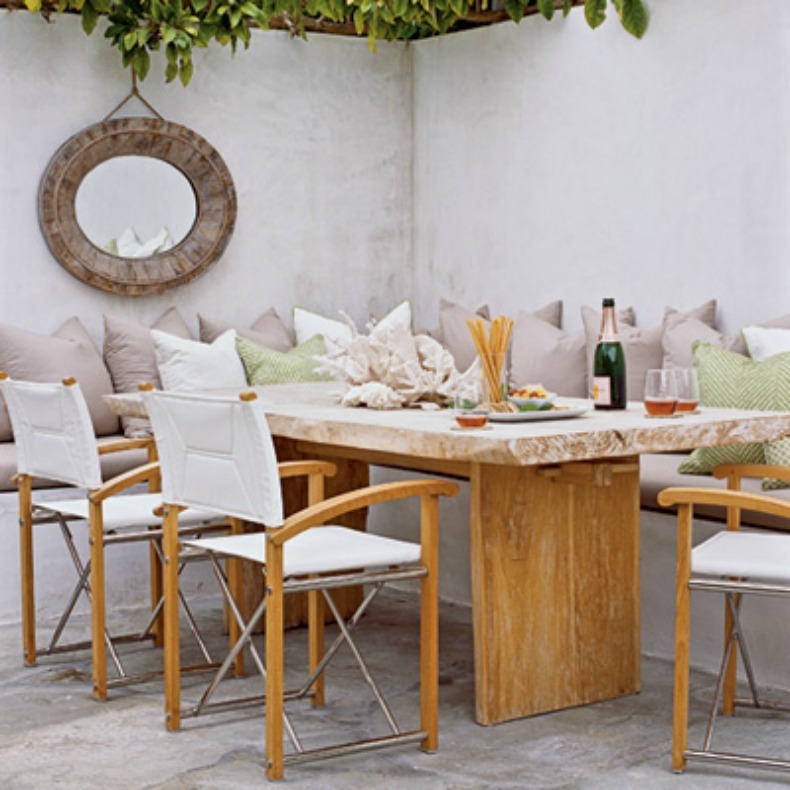 This coastal outdoor dining space has great wrap around upholstered bench seating. 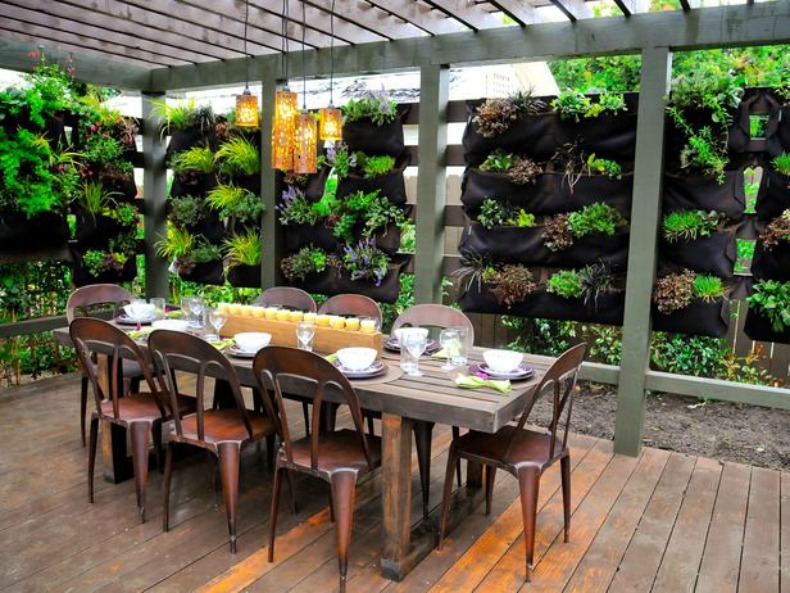 Metal dining chairs surround a metal parsons dining table in this outdoor dining room with garden wall. 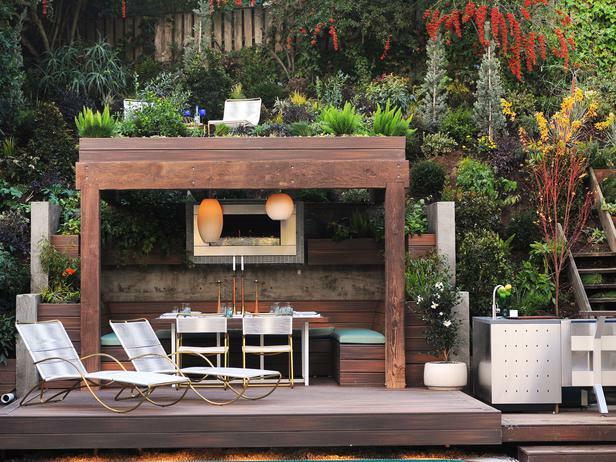 Coastal teak framed outdoor dining room with upholstered seating and pull up director chairs. Oceanside dining at this weathered dining table with coastal wicker chairs would be lovely. Inspiring coastal beach house outdoor dining rooms. 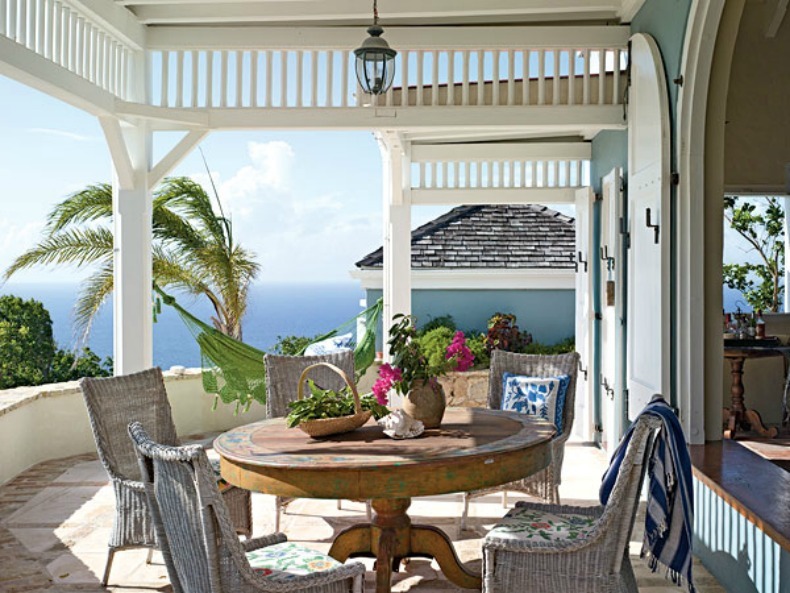 Outdoor coastal dining room furnishings and decor to create your perfect seaside design.